This is a poker game based on the game of Chinese dominoes bearing the same name. In this Americanized version, up to six players can play at a time, along with a dealer. Players strive to create two poker hands out of the seven cards each is dealt. The hands must be comprised of five cards and two cards. The two card hand must be lower in poker rank than the five card hand, and can only consist of a pair or high cards. 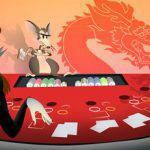 The winner in Pai Gow Poker is the player whose hands beat those of the dealer. Pontoon Blackjack uses a regular 52 card, standard card deck and needs a minimum of two players to commence. This British version of the game Twenty-One is played with each player being dealt one card face down. Each player, other than the dealer, can look at the card and then decide to wager at least the pre-agreed on bet or better. Then, another card is dealt. If the dealer’s hand equals twenty-one, he or she is the winner. If not, each player can request more cards to work towards twenty-one or stand on Pontoon. This is the European version of the popular Blackjack game, where players work to get a total of twenty-one with their dealt hands. The exceptions to this game are that it is played with two card decks, the dealer can stand with a total of 17, the other players cannot double their bets after a split, and the players can double on hand totals of 9 through 11. 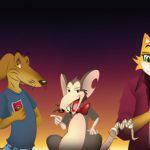 As a beloved casino favorite Baccarat is clearly one of the top casino games everywhere and not only at CoolCat Casino. 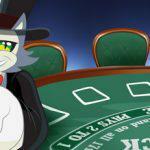 On this classic game of chance, players can bet on the dealt hands of the banker and the player. Whichever bet is on the hand that totals closest to 9 is the winner. On Red Dog, players all contribute to the prize pot and vie for the highest ranked card in the same suit as the card the dealer exposes. 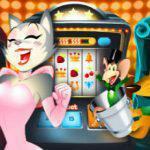 Hundreds of people log into CoolCat Casino everyday to play this wonderful game. 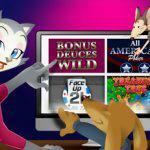 Play these and other exciting casino games at Cool Cat Casino. You will feel as if you are playing live in the world’s top gaming places, wherever you actually are.